If you need to boost your credit score, it won’t happen overnight. Credit scores take into account years of past behavior you can findon your credit report, and not just your present actions. But there are some steps you can take now to start on the path to better credit. One major factor in your credit score is how much revolving credit you have versus how much you’re actually using. The smaller that percentage is, the better it is for your credit rating. The optimum: 30 percent or lower. To boost your score, “pay down your balances, and keep those balances low,” says Pamela Banks, senior policy counsel for Consumers Union. What you might not know: Even if you pay balances in full every month, you still could have a higher utilization ratio than you’d expect. That’s because some issuers use the balance on your statement as the one reported to the bureau. Even if you’re paying balances in full every month, your credit score will still weigh your monthly balances. One strategy: See if the credit card issuer will accept multiple payments throughout the month. “A good way to improve your credit score is to eliminate nuisance balances,” says John Ulzheimer, a nationally recognized credit expert formerly of FICO and Equifax. Those are the small balances you have on a number of credit cards. The reason this strategy can boost your score: One of the items your score considers is just how many of your cards have balances, Ulzheimer says. That’s why charging $50 on one card and $30 on another instead of using the same card (preferably one with a good interest rate) can hurt your credit score. The solution to improve your credit score is to gather up all those credit cards with small balances and pay them off, Ulzheimer says. Then select one or two go-to cards that you can use for everything. “That way, you’re not polluting your credit report with a lot of balances,” he says. Some people erroneously believe that old debt on their credit report is bad. The minute they get their home or car paid off, they’re on the phone trying to get it removed from their credit report. Negative items are bad for your credit score, and most of them will disappear from your report after seven years. 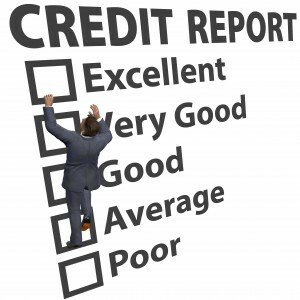 However, “arguing to get old accounts off your credit report just because they’re paid is a bad idea,” Ulzheimer says. Good debt — debt that you’ve handled well and paid as agreed — is good for your credit. The longer your history of good debt is, the better it is for your score. One of the ways to improve your credit score: Leave old debt and good accounts on as long as possible. This is also a good reason not to close old accounts where you’ve had a solid repayment record. If you’re planning a major purchase (like a home or a car), you might be scrambling to assemble one big chunk of cash. While you’re juggling bills, you don’t want to start paying bills late. Even if you’re sitting on a pile of savings, a drop in your score could scuttle that dream deal. One of the biggest ingredients in a good credit score is simply month after month of plain-vanilla, on-time payments. “Credit scores are determined by what’s in your credit report,” says Linda Sherry, director of national priorities for Consumer Action. If you’re bad about paying your bills — or paying them on time — it damages your credit and hurts your credit score, she says. Sometimes, one of the best ways to improve your credit score is to not do something that could sink it. Two of the biggies are missing payments and suddenly paying less (or charging more) than you normally do, says Dave Jones, retired president of the Association of Independent Consumer Credit Counseling Agencies. Other changes that could scare your card issuer (but not necessarily hurt your credit score): taking cash advances or even using your cards at businesses that could indicate current or future money stress, such as a pawnshop or a divorce attorney, he says.